The Great Fire had destroyed five sixths of the City, an area of three hundred and seventy three acres, plus a further sixty three acres outside the walls. Fifteen of the City’s twenty six wards were completely gone. Eighty nine churches and six chapels had been damaged or completely destroyed. 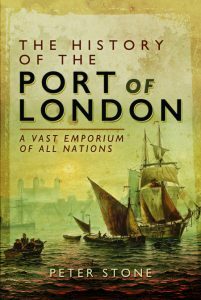 London had temporarily lost the Guildhall, its place of government; the Royal Exchange, its centre of commerce; St.Paul’s, its spiritual centre; and the wharves along the river through which much of the nation’s import and export trade passed. It took more than fifty years to complete the rebuilding. Over thirteen thousand houses had been burned or demolished in four hundred and sixty streets and over seventy thousand people were left homeless. Fortunately there was fine weather and thousands camped out in fields around London at places such as Islington, Highgate and Southwark. The markets had been destroyed so the King arranged for bread and supplies to be brought in from surrounding areas. When people were able to venture back into the City they found a landscape where it was possible to see from one side to the other, a large flattened area dominated by a few stone-built spires. The old Gothic St.Paul’s Cathedral still stood high above the chaos but was in a bad state, the brand-new portico partially collapsed. Despite such great destruction there was very little loss of life. Only a handful of deaths were reported. Most MPs refused to accept that the fire was an accident, believing it to be the work of foreigners or Catholics, and voted for an enquiry. A committee sat for several months and were given evidence of a number of potential culprits. A young Frenchman gave extraordinary and false evidence of how he had been part of a gang that had started it. When the owner of the bakery was called by the enquiry he naturally insisted that it wasn’t his fault and that the fire at his premises must have been started deliberately. The Frenchman was found guilty and hanged at Tyburn at the end of October 1666. A commemorative plaque was fixed to the building that replaced the bakery stating: “… Hell broke loose upon this Protestant City from the malicious hearts of barbarous Papists…”. Thoughts of those in authority quickly turned to the rebuilding. The Mayor and aldermen were in favour of a completely new layout, to which the King agreed, stating that he hoped to see a more beautiful city rise from the ashes. Charles invited ideas and issued some initial guidelines and instructions. A number of plans were forthcoming, notably from Robert Hooke, John Evelyn, and the one most favoured by the King from Christopher Wren.